A lot of different generators for the conversion of mechanical into electrical energy are already known to the state of the art, for instance the so called transverse flux machines, especially in the form of claw pole generators. But the production of claw pole generators is currently still time-consuming and quite expensive, due to their complex structure, which is caused by the complicated geometry of the flux leading elements. Thus, larger quantities of them are currently only used in alternators for cars. Another huge disadvantage of such transducers is their high detent torque. Even though there are already various solutions, we experience a constant increase of the demand for miniaturized electrodynamic transducers that supply energy also for small scale consumers – preferably in a self-sufficient manner. scientists from the TU Berlin provides a special construction with two consistent magnets, that are axially magnetized in one direction, and with two claws that are arranged offset in relation to each other. In addition, the air gap is always between two flux-leading soft iron components and therefore exactly adjustable. Due to the usage of two claws it is possible to keep the sum of the magnetic resistance nearly constant, resulting in only very low detent torque. 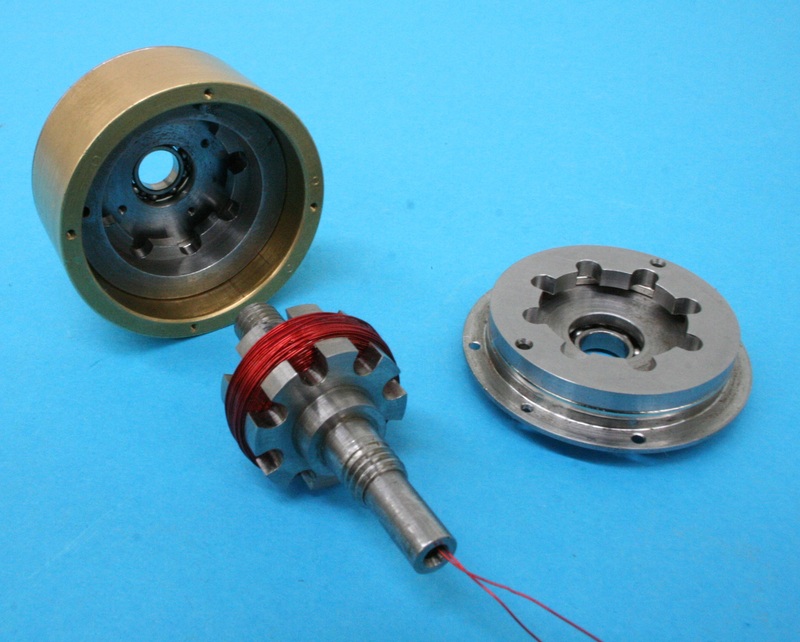 A prototype of the generator has already been built and analyzed at the TU Berlin. The determined torque moment is not yet zero, but significantly lower than that of other claw pole generators of this size. But this does not influence its operational behavior in any way. A greater reduction of the torque detent could probably be achieved once the manufacturing accuracy is enhanced. In addition, the effective terminal voltage was examined for different levels of electrical charging, as well as the output at different rotational speeds. This way it could be that output and terminal voltage correspond on the chosen charging as it had already been expected in advance. To achieve the maximal possible performance, it is necessary to adapt the load of the generator to its impedance. The generator can be used in the following fields: various sensoric applications, energy harvesting systems, consumer electronics, electronic door locking systems and energy converting systems.